A very smart man named Albert Einstein once said “If you always do what you always did, you will always get what you always got.” This surprisingly simple concept is one that often plagues us in small businesses. It’s so easy to do things the same way for years and never give any thought as to why. Typically it’s only when a problem arises that we begin to analyze our actions and processes for a solution. In the past few years we’ve been making a real conscious effort to take a proactive approach to innovation; taking cues and ideas from outside our industry and inevitably, our comfort zone, to push our business further. Whether a landscaper, property manager, or business owner, I believe we can all learn valuable lessons from forward thinking individuals, no matter their field of origin. It is with that concept that I begin this series, “What your business can learn from…” Today we look through the lens of the project manager. Project management is an extremely challenging job, as it requires complex planning and execution to ensure success. (Think: herding cats.) Projects managers have a wide range of varied skill sets and techniques that help them achieve their goals. It is these skills that often make a good project manager look like their job is effortless. (Think: Ring master of cat herders!) But truly, it is just that they have mastered and honed their craft to a point where they operate in intense situations with relative ease. Couldn’t everybody use someone on their staff like that? I know we could. I will list the 5 project management skills that we at Duke’s found to be crucial to our business, yet needed a boost in the right direction. Assessing project skills: Often project managers have to quickly inventory their assets and resources in order to complete their jobs expeditiously. It is with this experience of talking and inventorying people’s skill sets that they become gifted at knowing what people are good at, what they can bring to the table, and what they can be relied upon to do in a pinch. This is a valuable skill anyone can use. At Duke’s we like to hire from within but realized that we had a talent gap. Our farm team mentality–training and building quality managers from the ground up– wasn’t working as it had in the past. We began to invest in specific training for our foreman and have already seen a significant difference in abilities of our employees. When we began to talk regularly about our employees’ skill sets with them and how we could assist them reach their desired potential, we became all that more familiar with our talent pool and could manage those skills more effectively. Planning: A vital role of the project manager is to set the path for the project. It takes very careful consideration to not only set the “critical path”—the course a project will take from beginning to end taking into account all moving puzzle pieces—but then to ensure everyone sticks to it. This type of planning takes foresight. I’m sure you’ve all seen the movie Spiderman. For those who haven’t, there’s a scene where Spiderman anticipates that a cup is going to be knocked off a counter. His “spidey senses” alert him and he quickly reacts, catching the cup in mid-air before it meets the floor. A great manager will think out possible scenarios that might pose a risk to their daily plan, anticipate what needs to get done, divide the work up into feasible phases, and set up milestones. Teaching our managers to use their spidey senses– plan to this extent and thoroughly—is a long-term goal for us now. Time Management & Organization: If ever there were a family tree for planning, you would find time management and organization as its proud parents. Project managers must be absolutely savvy at prioritizing. They must juggle resources, multi-task various team’s deadlines, all while maintaining a good handle on cost and efficiencies. Talk to any project manager about how they accomplish this feat and they will all tell you the same thing: adopt a methodical process. Project managers all utilize some form of tracking software (BaseCamp, Microsoft Project) that help them keep their day in order. Our account managers juggle just as many tasks and clients and yet too often, they rely on just their memory to manage their tasks. Embracing technology to its fullest–using smartphones to keep notes, remind us of our appointments, and calendars to share important dates—has become essential to keeping our managers well prioritized and methodical in their client interactions. We have found that giving all our managers iPhones helps keep them organized and connected. Time Management and Organization are two skills that managers can constantly refine and smartphones for a company that does most of its work in the field is just one tool to help ensure that. Communication Excellence: Project managers often have to work with multiple direct reports that they’ve never worked with before. Maybe it’s with a manager in different division of the company, maybe it’s a manager in different company/time zone/country all together. (Think: herding cats in a different language. Now that’s talent!) It’s for this reason that their communication skills need to be spot on. Effective project managers pride themselves on being great communicators. They work under the premise that communication is a two-way street. It must be both clear and complete in order for all parties to gain from the communication. 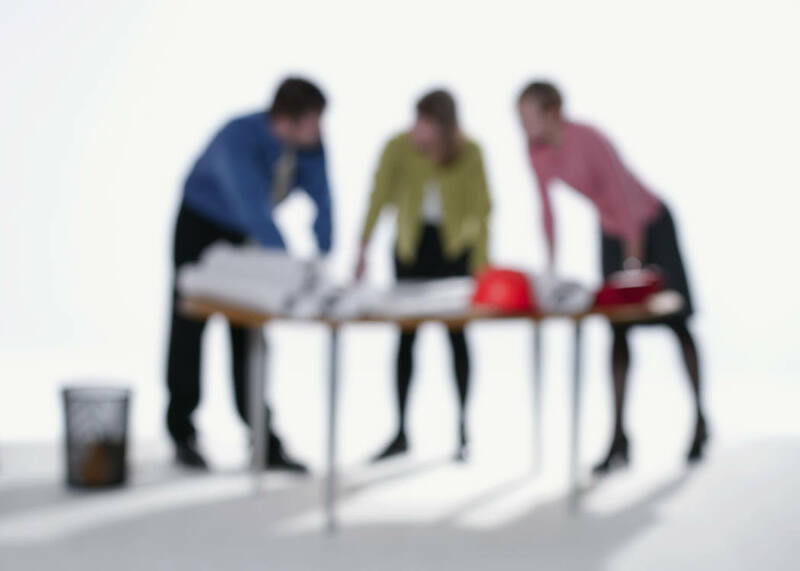 Key steps to communication that most project managers think are underutilized are 1. Gather as much information as possible when communicating, 2. Ask good questions, and 3. Give information clearly and freely. Reflection: Built right into every project manager’s timeline is a lessons learned meeting. Essentially it’s an opportunity to discuss any mistakes that were made or alternative paths that the project manager might have chosen if they could do it over again. It’s a way to use past experiences to fine tune projects in the future. While this is not rocket science, this step is often overlooked. I believe it’s overlooked because it requires honesty and the thing that sends everyone screaming, accountability. This is something we’re tackling with as a company at this very moment. Sitting at a table of your peers and discussing who dropped the ball on a project can sometimes be uncomfortable but so crucial to the growth of a company. With support and honesty it can be the very thing that helps align your team with your vision. Of all the project management skills, this one can prove to have the most impact as a little bit of thoughtful reflection can go a long way to save managers from making the same mistakes again. I would like to discuss your point: “Project management is an extremely challenging job”. Project Management’s complexity is really proportional to the size of the project and the number of team members allocated to that particular project. Other than that, PM is a process that, if followed properly, will most likely lead to project success. I’m not saying that the project manager’s job is easy, but it is not as hard as it is generally depicted. By the way, I think that this is a good post and I would like to republish it on PM Hut where many project managers will benefit from it. Please either email me or contact me through the contact us form on the PM Hut website in case you’re OK with this.